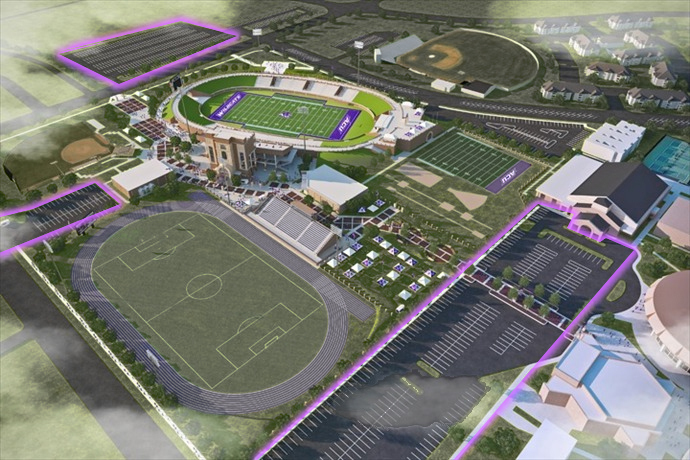 ODESSA – The Class 6A Area Round state playoff game between Permian and Arlington Lamar will be played at Wildcat Stadium on the campus of Abilene Christian University. The Panthers have been designated as Home team. The Mojo fan base will occupy the west (pressbox) side of the stadium on November 23. Anthony Field at Wildcat Stadium has a seating capacity of 12,000 and the parking areas are limited. Our game is the second of a tripleheader scheduled for Friday. Advance tickets will be sold on Monday and Tuesday at the ECISD athletic ticket office. It will be open from 7:00 a.m. to 4:00 p.m. on both days. The advance tickets will be $8.00 for adults and $4.00 for students. All game day ticket sales at the ACU gate will be $10.00.